‘Happy fifty-third birthday, Doctor. Welcome to the first day of your death. You ruined my life. And now I fully intend to ruin yours. This is how the anonymous letter that Frederick Starks receives begins, a psychoanalyst with a long experience and a quiet life, however this letter will change everything. He will be involved in a persecution, without knowing who wants to see him dead, he will have the hours counted to discover the identity of those who want to see him dead. I love reading, I’m addicted to buying books, and this was one of the first I read, I certainly don’t regret it, because it’s one of the best books I’ve ever read. 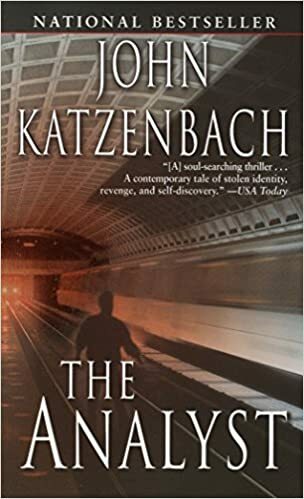 John Katzenbach makes us feel the tension, fear and uncertainty that the protagonist feels. This novel will make you fall into despair, but it will be worth it, because without a doubt the story is sinister, but incredible at the same time. This is one of those cases, in which more is known about the film than about the book. Don’t get me wrong, Stanley Kubrick was a genius, he directed many masterpieces, among them A clockowork Orange, however the book is a must. 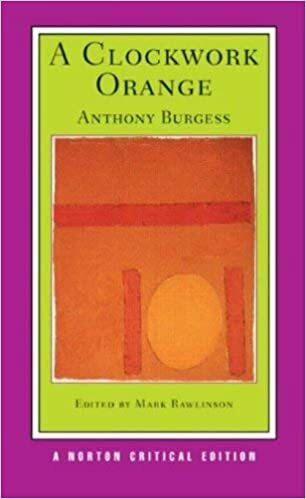 Anthony Burgess manages to capture your attention since you start reading, the protagonist, Alex Delarge, a young Englishman, is a complete contradiction, he loves ultra violence and destruction, but also feels a deep respect and love for art. He lives a destructive life with his three droogs (friends), with whom he goes out to the streets to carry out vandalism, assault people and another endless acts of evil. Alex is only 15 years old, his parents love him but they fear him, which gives him a freedom without limits. Due to circumstances caused by his acts of violence, he ends up becoming the victim of an experiment, when the State tests a new technique to prevent delinquency, the Ludovico Technique. Then, everything takes an unexpected turn. When exploring social and political issues, A Clockwork Orange reflects on issues such as juvenile delinquency, violence, psychiatry, free will and the moral corruption of the authorities. It’s a highly recommended book, although at first it’s not so easy to read, due to the use of the language called “nadsat”, a dialect created by the writer Anthony Burgess, but once you get used to those words, the reading will be easier. The book is divided into three parts: Hell, Purgatory and Paradise. Dante represents himself as the protagonist of his own book, which recounts his journey through hell, guided by Virgil, poet of Ancient Rome, whom he met when he was lost among wild beasts. The trip through Purgatory will also be guided by Virgil, in the final part, Paradise, his guide will Beatriz. 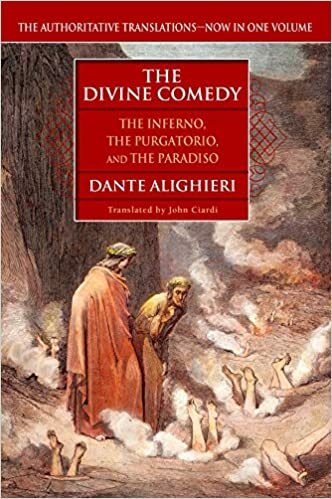 Divine Comedy is a novel that combines religious content with certain philosophical aspects, feelings and human behavior, which creates a literary work with metaphorical writing, is recommended for lovers of literature and the beauty of poetic language. The Shining, one of the first novels of Stephen King, and also one of the best known, perhaps this is due to the adaptation made by director Stanley Kubrick, in which we could see Jack Nicholson as the protagonist of the story, Jack Torrence, a family man who is forced to spend an isolated winter in an old hotel with his wife Wendy and his son Danny. The task of Jack isn’t so difficult, he only have to keep the hotel in good condition, which over the years has witnessed numerous and violent crimes committed within its walls. The extreme conditions in which Jack will be involved, will cause him to lose his sanity and endanger his own family. Jack, Wendy and Danny accompany us for more than 600 pages without getting bored for a single moment despite being the only characters on the plot of the novel. 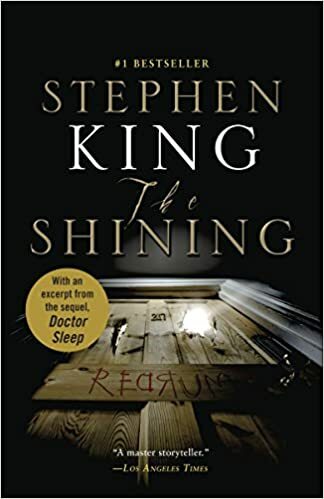 It’s an amazing book, tension and fear will be almost permanently present, and although it isn’t one of Stephen King’s best books, it’s undoubtedly one of my favorites. 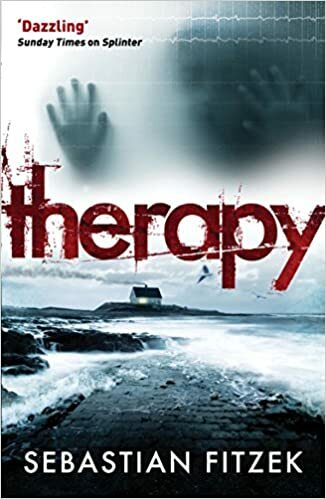 Sebastian Fitzek presents a story where the daughter of a known psychiatrist is kidnapped, and the trauma that Viktor Larenz, his father, will suffer. Five years later, Viktor already retired from his career, due to the desperate search that he started to find his daughter, receives an unexpected visit, giving beginning to the plot. The mysteries are developed in such a way that you can’t finish understanding a part of the story, when you already find another mystery to solve. It’s an incredible book, I totally recommend it, you will be surprised to find yourself trapped in the story, and you will not want to stop reading. Sebastian Fitzek is incredible, he keeps you in tension at all times, he gets into your mind making you doubt your own suspicions and not trust any character, just a perfect book. I’ll upload another post about books that I want to read, so maybe you can help me and send me some recommendations.